Remember that sweet Zelda-themed 3DS XL pouch from GameStop we showed off today? If you thought that was nice, chances are you’ll like this too: some Zelda-themed clip armor made for the New Nintendo 3DS XL. 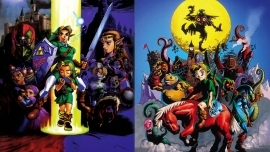 Daily Debate: What Console Had the Best Zelda Games? A great aspect of the Zelda series as a whole is that every single Nintendo console to date, from the NES to the Wii U, has a quality Zelda title available to play at any time. These games can be completely different, like Wind Waker, Four Swords Adventures, and Twilight Princess on the GameCube, or quite similar, like the famous Ocarina of Time and Majora’s Mask on the Nintendo 64. 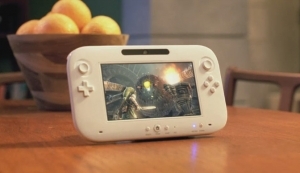 Wii U Sales Figures are in For Q1 2014; Could Zelda Move More? 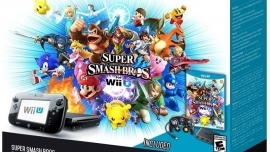 Nintendo has reported a loss for its first quarter of 2014. The loss isn’t overly large, but still worth mentioning. However I don’t really want to focus on those figures, as they won’t have any impact on the future of Nintendo as currently constructed, let alone the future of the Zelda franchise. Rather, I wanted to chat a bit about the Wii U sales figures and Mario Kart 8‘s impact on those sales.